An amazing new finding by scientists has massive implications to how clothes are produced in the future. 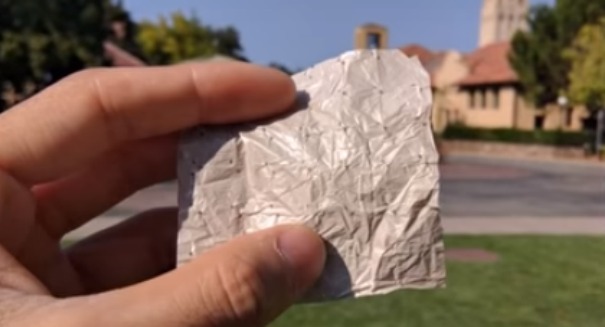 In a discovery that may prove to be one of the most important inventions of the 21st century so far, researchers at Stanford may have found a textile that could totally change the way clothes are manufactured. This new textile derived from cheap plastics could be woven into clothing and cool you body by as much as 4 degrees, which could result in more comfortable clothing and even a reduction in energy costs as buildings wouldn’t be required to use as much air conditioning. The fabric would be woven into clothing and would dissipate heat in two ways: first, it would let perspiration evaporate, and it would allow body heat in the form of infrared radiation to pass through it instead of trapping it, which is the problem with cotton-based fabrics, according to a statement from the university. The study found that this fabric could result in a reduction in body temperature of nearly 4 degrees. It would do so much more efficiently than standard natural and synthetic clothing. Yes, that is true in colder places , where people are looking for ways to get warm. But in hot places of the world it is the opposite. People cannot afford to take off clothing in every situation (official). This will be of trmendous use for people working in hot conditions.